NodeMCU based, MQTT/JSON driven LED Strip controller, for holiday / kitchen cabinet and accent lighting. I designed this LED controller as part of my openHAB-based home automation system, to control my kitchen cabinet lighting and to serve as a Holiday lights display for my house. 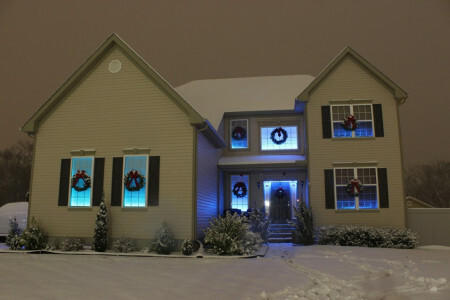 Using a forked version of @bruhautomation's code on github (https://github.com/bkpsu/ESP-MQTT-JSON-Digital-LEDs) with my modifications (added effects, ability to group strips into one MQTT topic), I was able to create a fully coordinated set of window/door decorations, with different effects every night - it made for a very nice show! Build instructions in the Thingiverse link and YouTube videos below.